The scattering of a loved one’s ashes is a popular means of paying homage to where they wanted to be put to rest. Scattering ashes at sea is a way to enjoy that final memory with them, either on your own, joined by close family and friends, or in a larger group. It’s a place to have an intimate moment in which you can immerse yourself in thoughts, and treasure memories, of the person that you have lost. 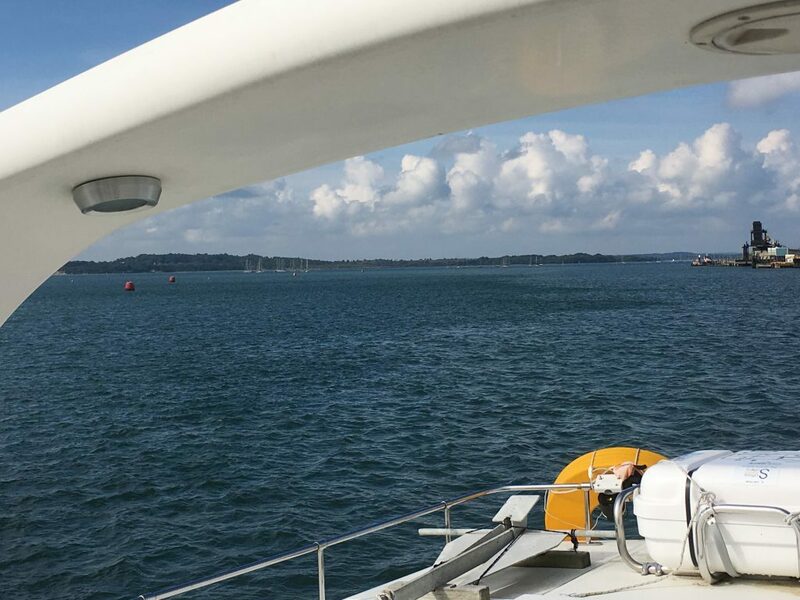 We designed our scattering ashes at sea ceremony to create an atmosphere and environment whereby families and dear friends can enjoy an uninterrupted occasion with privacy and respect on a luxury yacht in the serenity of the sea. With all of life’s distractions, we want to create a tranquil environment to give you the opportunity to remember the life of the one you have lost, away from all the bustle and amongst the calm felt at sea. Lift a glass and all come together in a toast for the perfect life that once was. Share fond memories, laugh at unforgettable stories and remember who they were and what they did. 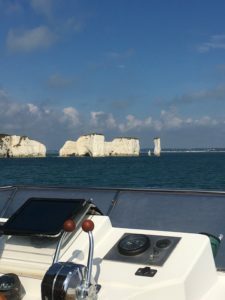 If Dorset was home to them, the view put a smile on their face, or they felt serenity being in or by the sea, there is no better home for your loved one to rest than in an area of natural beauty such as Old Harry Rocks, Durdle Door and Lulworth Cove. 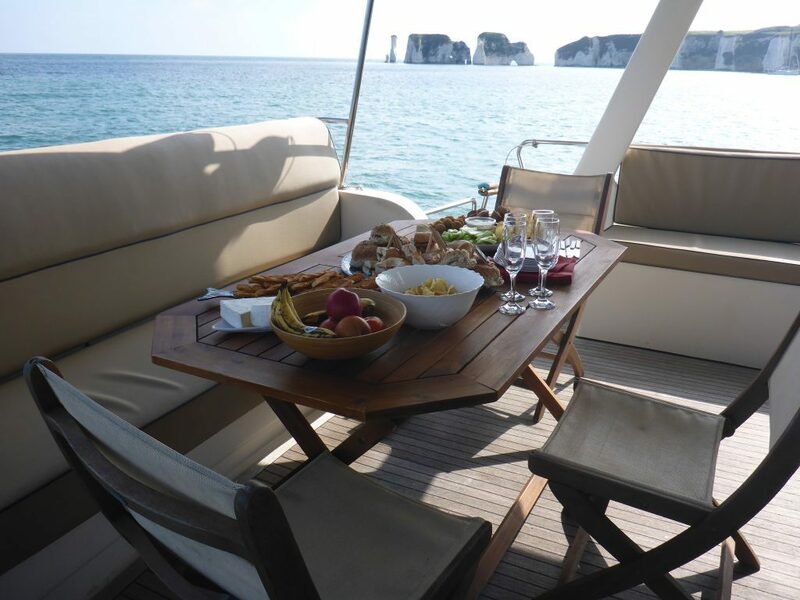 A skipper will commandeer the yacht to a place of your choosing. Take one last journey with your loved one out on the ocean waters and in the wake of the immense presence of the Jurassic coast. Scattering their ashes at sea is an opportunity to say a private goodbye, speak final words and enjoy the moment in the comforting presence of loved ones. We want to help you to create the perfect moment; that final send-off. To find out more about scattering ashes at sea and how we can help you, please contact your nearest Douch Family funeral directors branch in Dorset.